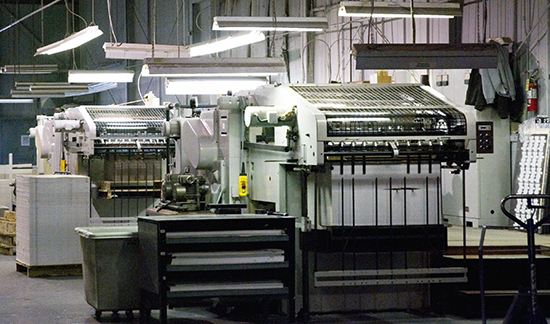 Once sheets are printed, they have to be cut into the shape of the finished carton. This is the Die Cutting Department. 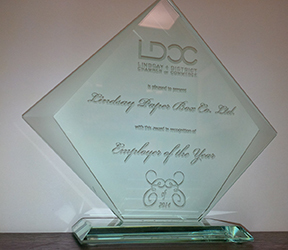 Sheets are taken directly from the printing department and run through one of our die cutters. These machines will cut and strip the waste from the finished carton at the same time to eliminate costly hand stripping. 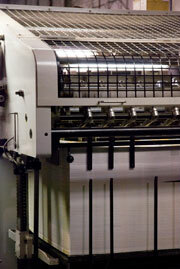 Our die cutting machines are identical so production is interchangeable. This enables quick turn-around for our customers. We keep dies locked in the chases so that setup times are greatly reduced, allowing us to quickly complete the cutting portion of production.